Running Bun wrote a thoughtful post reflecting on workout-related regrets during her pregnancy. 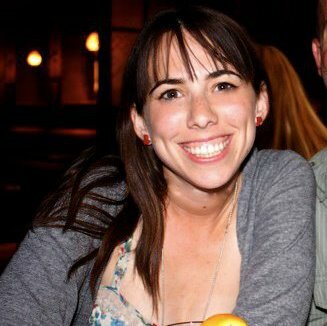 She writes about feeling frustrated and disappointed for not wanting to and not being able to exercise the last trimester. A committed exerciser, she had imagined having a different experience. She got jealous of ladies who could run 8 miles on their due date. Post-pregnancy she doesn’t regret not working out but she regrets the time spent beating herself up about not working out. That struck a cord with me. Not the pregnancy part. The other part. I have a distinct memory of being in a yoga class and feeling supremely angry at myself for not being able to do a more advanced version of the pose. TRY HARDER my internal coach can belt. I walked out of class feeling more defeated than when I walked in. And from all the literature I’ve read on yoga, I don’t think that’s the point. Even though this lady can do it in a halter top. I can think of at least two one-day juice cleanses that did not end in juice. And I remember feeling like a failure. A truffle-soaked french fry failure. There is the memory of an up hill run where I became so frustrated at my lackluster performance that I’ve teared up. Actual human tears backed by the real human feelings of that much disappointment. Did any of that actually make me better at those activities? I can easily say no. I felt disappointed in myself and at times scared to try again. Scared of feeling more disappointment. Being scared to try is the worst. A goal is a good thing to have, but it’s not the only thing to have. Running Bun (her name is actually Ashley) wishes she cut herself some slack and didn’t forget to actually enjoy the life she was living (instead of the more fit one she imagined). Goals are important, as are training schedules but they aren’t divine rulings. They are helpful guidelines that keep you accountable. You’re not a failure or less of a “real runner” if you don’t follow Hal Higdon to the word. Even if someone else does. Too many negative feelings either make you a miserable person or a quitter, neither of which is good. A real challenge for me is to figure out a way to deal with the feelings of “not being there yet” or of “temporary discomfort” in a way that make it better, not worse. To accept there will be bad runs. 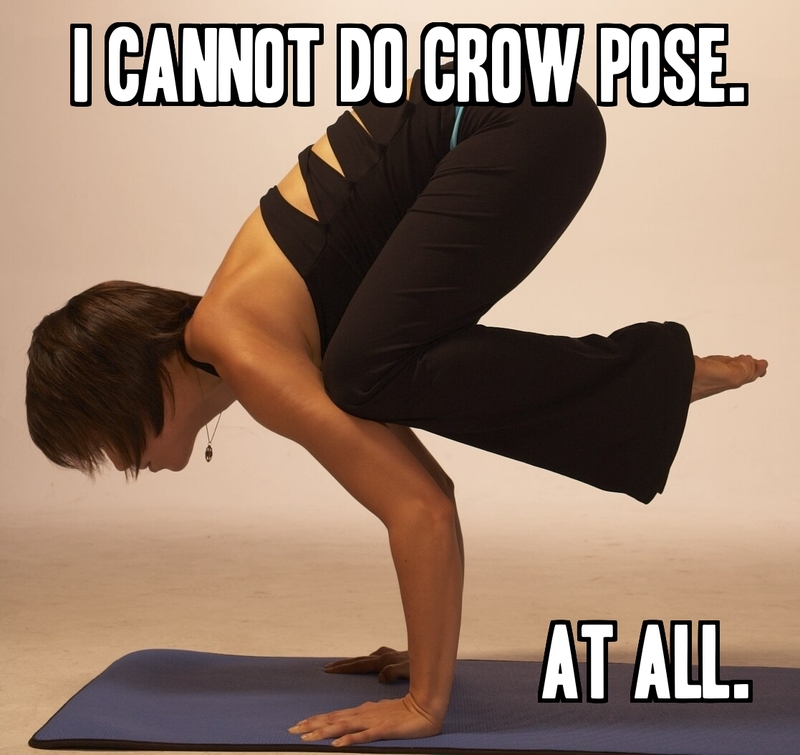 That sometimes you will not be able to do crow pose. That you might never be able to do crow pose. But that it’s okay. That you are still good. That you should still keep trying. A goal is a flag post for a future moment in time. But I don’t think it’s supposed to mean that you’re not happy until that time. Cut myself some slack. That’s a concept a buddhist I grew friendly with when I lived in DC shared with me and it still feels really empowering. We always are told “cut him/her some slack” like it’s only a thing we can give to other people. But we can also try to give ourselves a break. To not be so hard or so strict or so mean. Take a break and give yourself the mental space to come back without so much pressure. It feels really effing good to meet a goal. Accomplishing things is good. But a lot more of your life can be good if you don’t live and die with every failed attempt along the way. So I hear. I struggle with this a ton. Not just when it comes to fitness. Does anyone have other tips on how to stay committed and stay happy? How do you bounce back after a bad stint? Thanks G!! Easier said then done!! i have an extremely hard time not beating up on myself and feeling silently competitive with strangers around me (both in yoga class and running around a park). i agree that cutting yourself some slack is the only way to overcome this: finding a euphemism for “fail”; giving yourself points for trying something new (even when everyone around you collectively gasps when you fall out of a challenging pose); being proud of a slower-than-intended finish time when maybe you weren’t feeling so great (or feeling horrible) and it was a big deal to do it in general (my marathon in a nutshell). also i think a key is to remember where you were in college (me: on a couch/at a bar/ sleeping) and feeling awesome that you’re more active than that. also, just look at those arms! Agree completely. (Especially about the arms.) In terms of regret, I don’t think you ever regret being happy or proud of yourself. Being happy/proud of yourself at your current point doesn’t prevent you from getting better or reaching a new goal, it just makes the process positive. Which make you more likely to keep going. I am totally guilty of setting an unrealistically high bar (start counting calories right before the holidays! Get out and run 4 miles without stopping even though your legs haven’t done that for a year!) and then feeling like a fail when it doesn’t pan out. I love the philosophy you pose here. My current MO is to consider everything a learning experience to be thankful for & proud of (easier said than done, but it’s a work in progress).